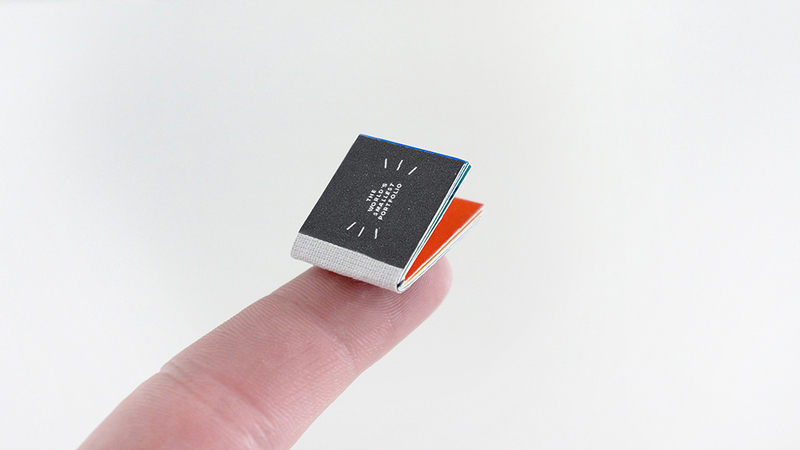 How did you devise such the brilliant concept of The World’s Smallest Portfolio? The idea came from a great little self-promo brief by London illustration and animation studio, jelly London. The studio team asked students and graduates coming to their D&AD New Blood festival talk to get people talking about their own work. I knew I wanted to not just get people talking about my work as a whole, but specifically about the concepts rather than the style. So I set myself a challenge: “How could I present more of my ideas and less of my visual style?” My answer was to make something so small that only a really strong idea could still be communicated.